Ensuring one team per age group, the 2028 division focuses on developing the individual player and overall team with age-appropriate skills and competition. The 2028 division plays in a 7v7 format which instills the breakdown and understanding on both attack and defense. Players will develop overall stickwork, and develop an IQ of the conceptual framework of all position on the field, including the goalie. In addition, players will learn the value of camaraderie, and working effectively altogether as a team. Throughout the year we provide opportunities for players to receive professional feedback from our elite educators. Participants will have the opportunity to test skills against current NXT players. Live a day in the life of a NXT club team member of your grad year and receive a professional evaluation within 48 hours of being evaluated! Our 2028 club team has 6 practices 1x a week in the fall from September to November and competes in 3 fall tournaments. Players also participate in a Club Training Day and have access to our Play Fast training. Our 2028 team practices 4x in January and February each winter. Players will also have access to our Play Fast Training. 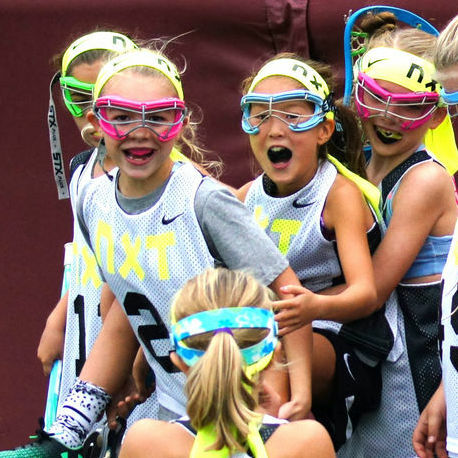 Our 2028 team participates in the NXT Spring League which takes place over 4 Sundays in April and May as well as 3 team practices. We also take a club field trip to a college lacrosse game each spring. Our 2028 team has 12 practices 2x a week from May to July and competes in 3 summer tournaments. Get a behind the scenes look at our club, players, coaches and the NXT LC experience and interact with us on social media!